New Products and 2018 Special Events! Shanghai. DOMOTEX asia/CHINAFLOOR – To commemorate the 20th Anniversary of the event, show organizers re-introduce the widely popular InnovAction Flooring Campaign, Materia, and cadex educational conferences. “InnovAction is a snapshot of the flooring industry’s future, and our goal is to highlight the importance of this”, said InnovAction architect Kostas Chatzigiannis. “The human brain is naturally wired to fix attention on images and structures that stand out from everyday surroundings. With this idea in mind, we are building these custom areas because exhibitors are counting on our support to strengthen the promotion of their new concepts”, concluded Chatzigiannis. The InnovAction Flooring Campaign and high-profile displays are located in 3 locations throughout the exhibition with the purpose of unveiling future market leading products in CARPET, WOOD, and RESILIENT flooring. InnovAction exhibitors are automatically enrolled in the Top-10 Best Products Competition during the show. While onsite, 55,000+ fair attendees have the opportunity to visit each showcase and cast a vote for their favorite InnovAction products. Floor Covering Weekly Magazine (FCW), a leading international industry publication since 1952, is the main sponsor of the showcase and will formally announce the winners of the Top-10 New Product Competition. The flooring industry is never in a static state due to constant innovation and the creative combination of raw materials that make surfaces more environmentally-friendly, water/fire-proof, flexible, and durable. Materia is the one-stop shop to see and even touch the materials that make up the “DNA” of the finished goods used in our office buildings and homes. Materia at DOMOTEX asia/CHINAFLOOR offers an abundant preview of metals, ceramics, plastics, woods, and more, all varying in texture, structure, resistance, weight, and acoustics. Looking on either side of the Huangpu River in Shanghai, it is clear that demand for architectural expertise in the city has increased for projects ranging from multi-level shopping malls, outdoor pavilions, and luxury apartments. Flooring project leaders in Asia have come to notice and respect the power international architects and designers bring to a variety of construction ventures. 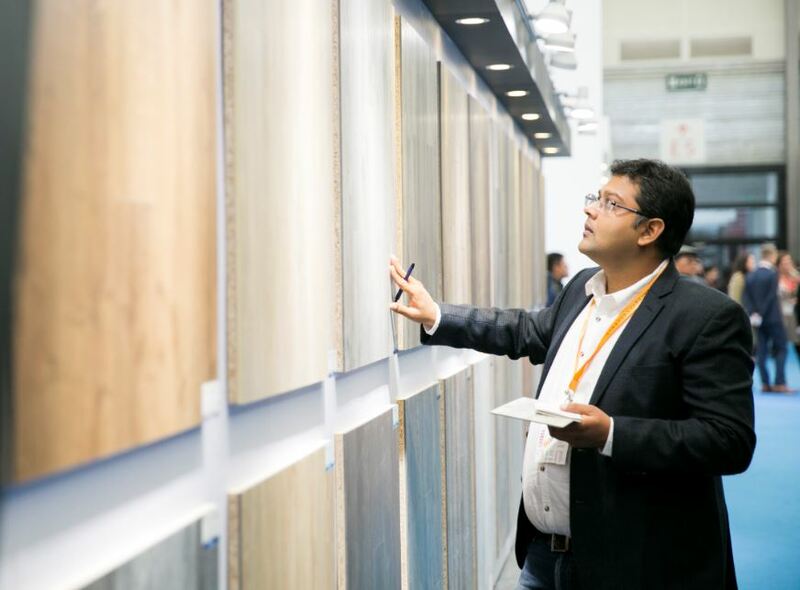 DOMOTEX asia/CHINAFLOOR and cadex create a 2-day platform geared toward providing global architects and flooring experts a meeting place to exchange ideas and best practices. In 2017, over 4,000 people attended the educational conferences to update themselves on current events and discover ways to collaborate on future projects in the Asian-Pacific Region.